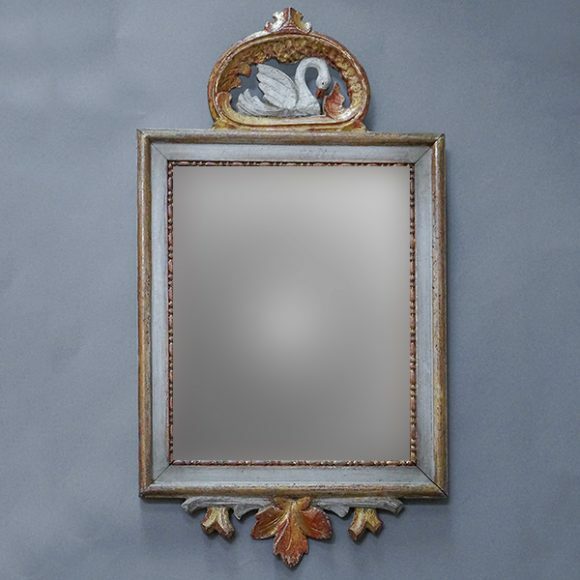 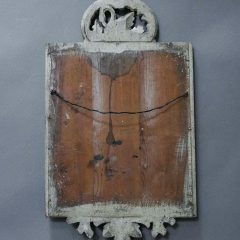 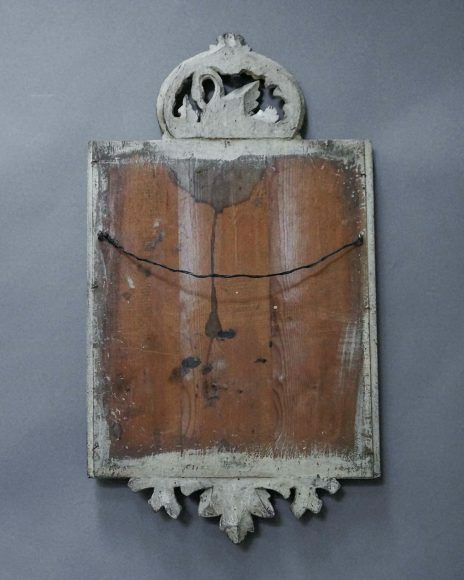 Lovely small wall mirror, Sweden circa 1860, with a gilded frame. 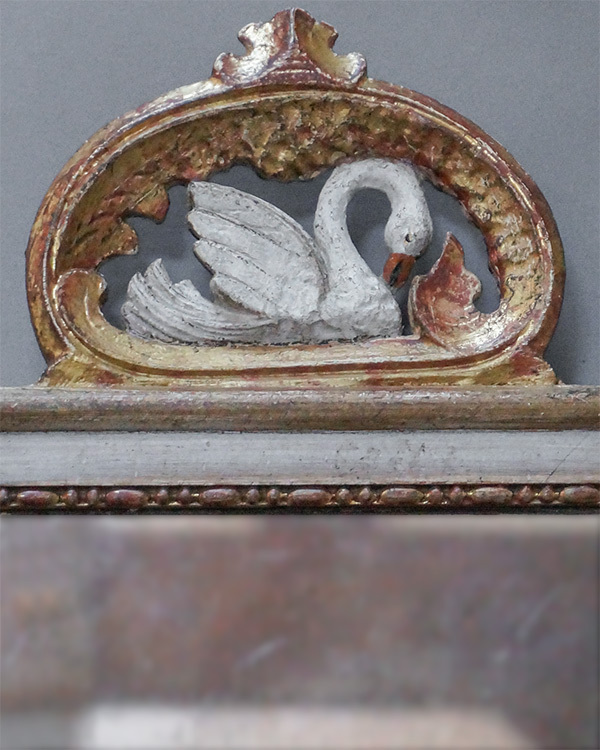 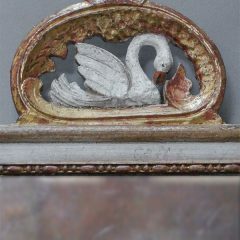 At the top is a carved crest depicting a swan among the waves. 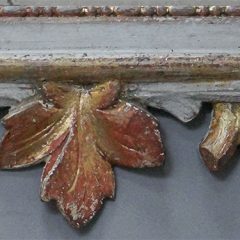 At the bottom is a carved leafy branch. 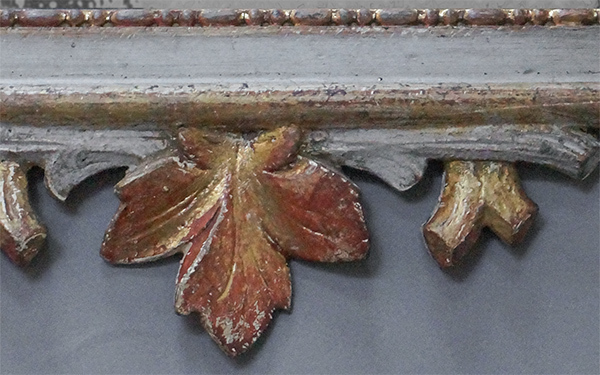 Original painted surface and mirror glass.